The subwoofer Sonos SUB PLAY 3 is not that massive, but its design is original and excellent sound reproduction. Accompanied by two speakers Play, it is enough to satisfy the most demanding. 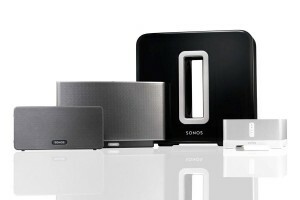 Sonos its range of wireless speakers with an excellent subwoofer, SUB which works with all amplified speaker. Specialist in wireless Wi-Fi speakers, Sonos puts forward a very simple installation and especially excellent audio quality for all its products. Attention Sonos products are not accessible to all budgets. Count 299 euros for each speaker and 49 euros for the Gateway Bridge. And add above 699 euros for the SUB. Sonos SUB PLAY 3 relies on a refined aesthetic and neutral colour (black, white, gray). Very few buttons on the audio modules: two speakers PLAY 3, one on the box. The whole class is enough, the design of the subwoofer rather successful. The SUB features indeed an original, bringing face to face two woofers to cancel vibration box, depending on the manufacturer. Technically, Sonos SUB PLAY 3 gives excellent results. The entire Sonos can deliver without saturating 116.3 dB (no distortion at 1000 Hz). The box even shows … a little too tough for a small apartment, studio or dorm room. In the test it was also measured an excellent frequency response from 20 Hz to 20 kHz (or the entire field of audible to the human ear). In practice, this kit Sonos has offered us a very good feeling. The bass is deep voices and treble very well rendered, what offer a listening experience. And if it worsens the phenomenally serious SUB does not actually generates vibration parasite. 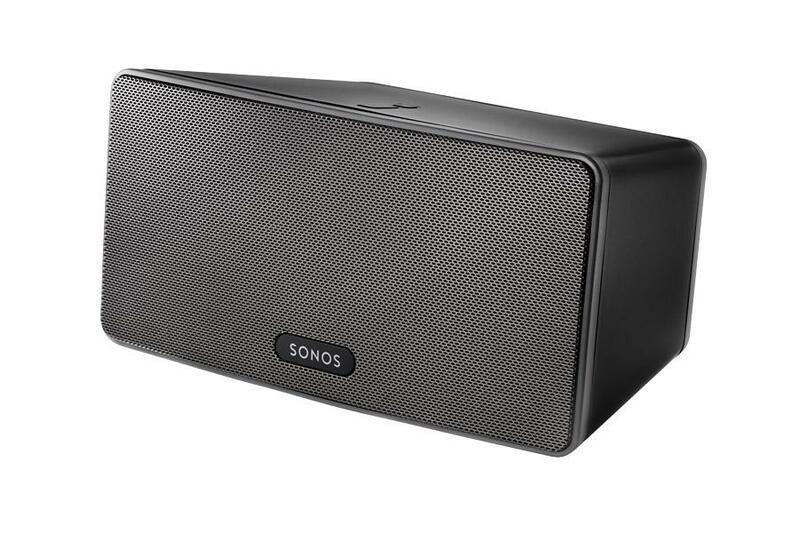 Software provided by Sonos SUB PLAY 3 allows easy management of music and speakers. Different speakers can be connected and controlled over Wi-Fi home network, via an Internet box or router. Not need special skills, a simple push of a few buttons can sync everything. It is fast and efficient, however, it is unfortunate that the application available for Android and iOS smartphone that transforms the simple remote control, without allowing you to play music it contains. Following this rapid installation, each speaker Sonos SUB PLAY 3 can operate independently. It is therefore possible to distribute different music in each enclosure and place them in separate rooms. Note that an additional Ethernet Bridge module is also possible to connect the Gateway to a second network, or directly to a network drive. In short, the result is simply stunning. This set features a design worked Sonos, a beautiful finish and high sound fly. Wi-Fi provides maximum freedom of placement, unconstrained cable. While the Sonos SUB PLAY 3 system is quite expensive, but it will not disappoint lovers.